PC Member ECMFA 2019 – 15th European Conference on Modelling Foundations and Applications, Eindhoven, The Netherlands – July 2018. PC Member MODELSWARD 2019 – 7th International Conference on Model-Driven Engineering and Software Development, Prague, Czech Republic – February 2019. Co-Organizer of ES4CPS, GI-Dagstuhl Seminar 19023 on Explainable Software for Cyber-Physical Systems, January 2019. PC Member MDETools 2018, 2nd Workshop on Model-Driven Engineering Tools, Copenhagen, Denmark, October 2018. PC Member ME 2018, Models and Evolution Workshop, Copenhagen, Denmark, October 2018. PC Member RET 2018, 5th International Workshop on Requirements Engineering and Testing, Gothenburg, Sweden, June 2018. PC Member ECMFA 2018 – 14th European Conference on Modelling Foundations and Applications, Toulouse, France – June 25-29, 2018. PC Member PeMod 2018 – International Workshop on Petri Nets and Modeling, a satellite event of Modellierung 2018, Braunschweig, Germany, February 21/23, 2018. Doctoral Symposium Co-Chair – MODELS 2018, ACM/IEEE 21st InternationalConference on Model Driven Engineering Languages and Systems, Copenhagen, Denmark, October 14-18, 2018. PC Member Erklärbare Software – Special Track der Software Engineering & Software Management, Ulm, März 2018. PC Member MODELS 2017 Posters, ACM/IEEE 20th International Conference on Model Driven Engineering Languages and Systems, Austin, Texas, USA, September 17 – 22. 2017. PC Member MDETools 2017, Model Driven Engineering Tools Challenge Workshop, Austin, Texas, September 2017. PC Member SoViVa’17, 1st Workshop on Big Software In-Vivo Analytics, Paderborn, Germany, September 2017. PC Member RET 2017, 4th International Workshop on Requirements Engineering and Testing, Lisbon, Portugal, September 2017. ACM Student Research Contest Co-Chair MODELS 2017, ACM/IEEE 20th International Conference on Model Driven Engineering Languages and Systems, Austin, Texas, USA, September 17 – 22. 2017. 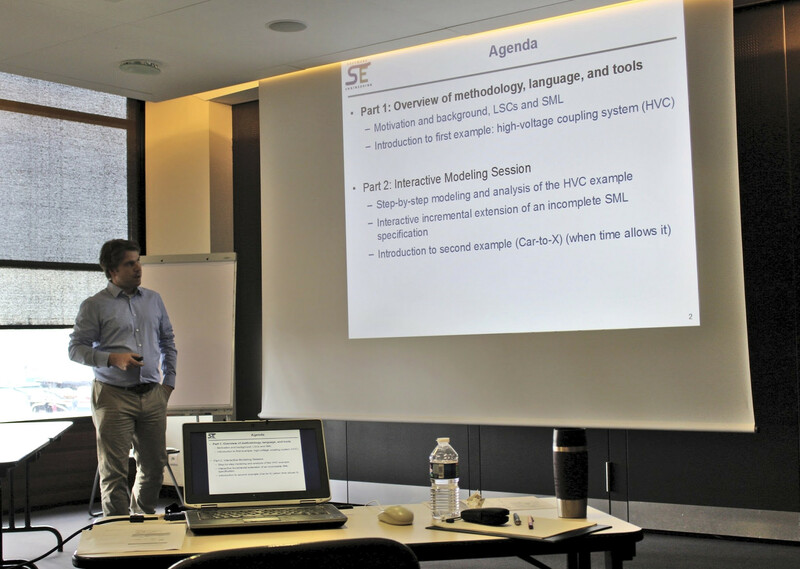 Student Volunteer Co-Chair ESEC/FSE 2017, The joint meeting of the European Software Engineering Conference and the ACM SIGSOFT Symposium on the Foundations of Software Engineering, Paderborn, Germany, September 4-8, 2017.
d Self-Managing Systems, Buenos Aires, Argentina, May 22-23, 2017. PC Member ICGT 2017, 10th International Conference on Graph Transformation, Marburg, Germany, July 17-21, 2017. Workshop Chair SE 2017, Konferenz des Fachbereichs Softwaretechnik der Gesellschaft für Informatik, Hannover, Germany, February 21-24, 2017. PC Member MODELS 2016, ACM/IEEE 19th International Conference on Model Driven Engineering Languages and Systems (MODELS 2016), St Malo, France, October 2-7, 2016. Title: Modeling Reactive Systems with the Scenario Modeling Language and ScenarioTools. Keynote SOAMED Workshop (Meeting of the DFG Graduate School SOAMED), Zeuthen, Germany, June 6, 2016. PC Member ICE 2016, 9th Interaction and Concurrency Experience, Satellite Workshop of DisCoTec 2016. Publicity Chair SEAMS 2016, 11th International Symposium on Software Engineering for Adaptive and Self-Managing Systems, Austin, Texas, USA, May 16-17, 2016. PC Member RET 2016, 3rd International Workshop on Requirements Engineering and Testing, Gothenburg, Sweden, 14 March, 2016. PC Member RET 2015, 2rd International Workshop on Requirements Engineering and Testing, Florence, Italy, 2015. 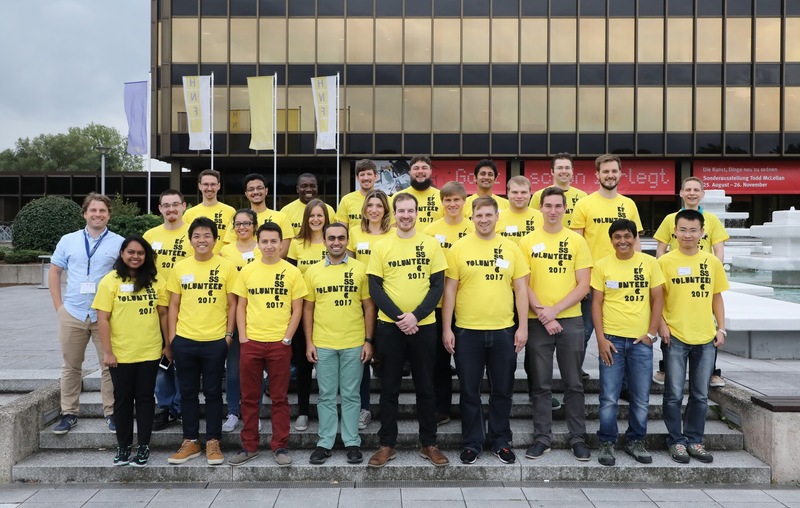 PC Member SKILL 2015, Studierendenkonferenz Informatik, Cottbus, Germany, 2015. PC Member AMT 2015, 4th Workshop on the Analysis of Model Transformations, Ottawa, Canada, 2015. PC Member AMT 2014, 3th Workshop on the Analysis of Model Transformations, Valencia, Spain, 2014. PC Member GraBaTs 2014, 8th International Workshop on Graph-Based Tools, York, UK, 2014. PC Member BM-FA 2013, 5th Workshop on Behavioural Modelling — Foundations and Applications Montpellier, France, 2013. PC Member 1st German-Malaysian Workshop for Advances in Mechatronics and Engineering Technology, Hannover, Germany, 2012.